Very disappointing experience. We made a reservation and checked in with hostess at the appropriate time and was told we can wait in the bar area. After over 30min of waiting we checked on the ETA of our table, they “accidentally” put us down as a now show. Had to wait another 15min and to make it worse, put us at the worse table in the place, right in front of the kitchen and mall entrance. We could not even hear ourselves think it was so loud and distracting. Had to send the appetizer back for being over cooked and dry, steaks came out at wrong temperatures, bread knots were cold. To top it off we asked to have the unfinished steaks wrapped to go, to our surprise we had BBQ ribs in our container the next day. We ordered STEAKS!! Despite the errors, Joe the manager practiced good service recovery and made the situation right after hearing what happened. We will return. Stoney River never disappoints! Great food and fun! The food here is always excellent and the service outstanding. A great place for comfort food. I love the consistency with food preparation, I've been here several times and whoever is cooking is excellent. Food was cooked per request, and staff was friendly. This used to be my favorite steakhouse. My experience this past weekend was worse than if I had gone to Outback. The server was unprofessional and the food has gone severely downhill. My fiancé got the filet cooked medium, Oscar style. 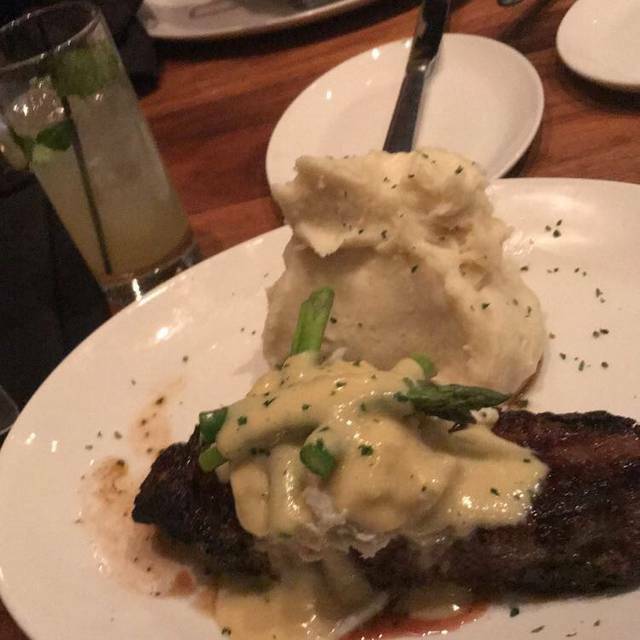 The crabmeat was not lump, and the steak was cooked well done. 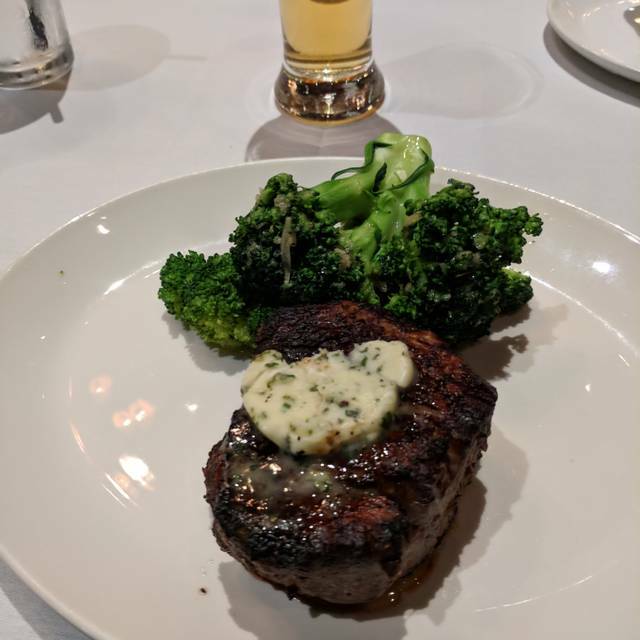 I ordered the ribeye cooked medium and it was on the rarer side of medium rare. Once we got our dinners, the server never came back. When he did I asked if there was a new cook because both of our meals were awful, he said no and asked why we didn’t flag him down. There is no reason why I should have to flag you down after we get our food. It was at least 20 minutes before he returned to the table. At the point we had eaten some of our food and just wanted to leave. They did remove my fiancé’s meal from our check, but we don’t think we will ever be returning. Highly disappointing. Marty is the best waiter, food is always delicious! Great food and great waiter. His name was Hunter. I drive all the way from DC to get their food. There service is impeccable and I love that they honor special requests without batting an eye. 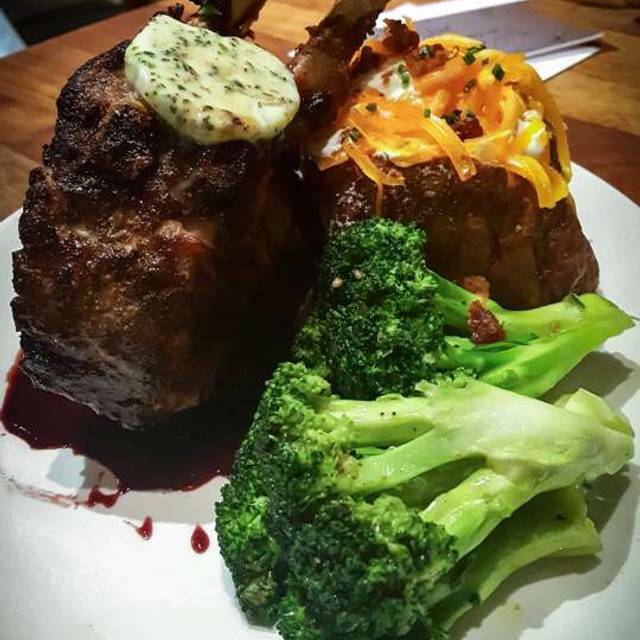 If you want amazing food that’s seasoned well at a great price then you need to go to Stoney River Steakhouse. The food was amazing. I would even say better than Ruths Chris. The service was impeccable and the atmosphere was outstanding. Will be going back often. Lovely experience. The food was excellent. The portions were great. The service was excellent..
We were celebrating a promotion my husband had gotten that day. This is one of our favorite places for a celebration or just an everyday meal. The staff are friendly and accommodating. Have never had a bad meal or experience here! I am an avid patron of Stoney River and brought along 2 friends. 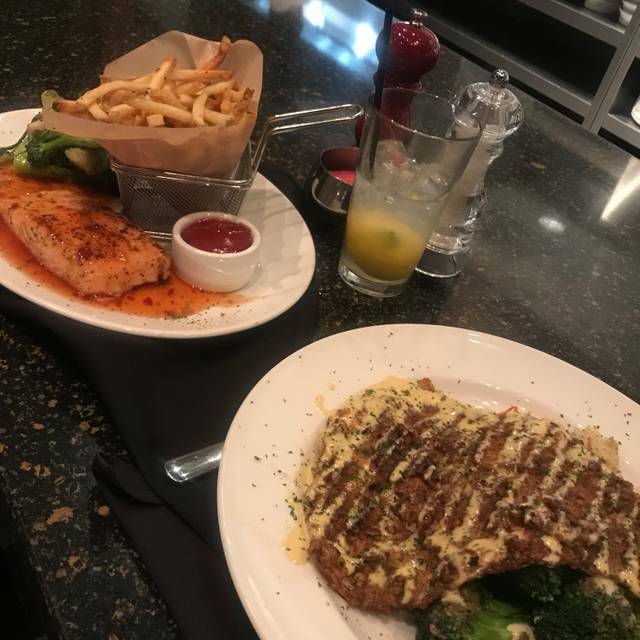 My friends had to send back 2 rounds of cocktails because of the novice bartender and our meals (2 steaks and 1 salmon) were over cooked and the side dish of rice was extremely salty. The manager made up for an awful dining experience. Both of my guest stated that they will not return to dine at this establishment. We went for a Friday evening family dinner. We brought our five-year-old with us. The ambience was perfect. They were very kind to our daughter. The food was outstanding. This was my second visit here. On thefirst visit I ordered the salmon dish and was not impressed because it was dry due to being overcooked. Although the service, ambiance, etc. is good, the main dish (the "food") was not that exciting. I ordered the meatloaf entree on my second visit yesterday and the entire dish was room temperature. Two super thick portions of meatloaf slices were served that were totally not unappealing. Excellent atmosphere and excellent food. Highly recommend to anyone looking for a great night out. Will definitely be back. 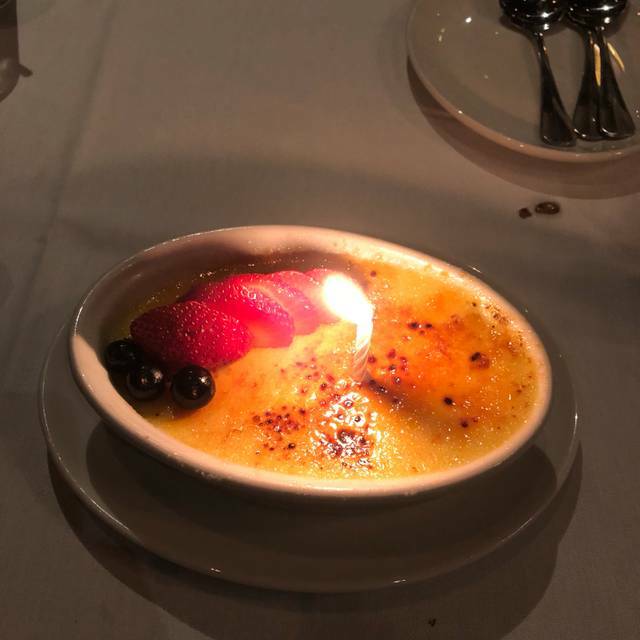 My wife and I had not been to Stoney River for a couple of years. We decided to go for our anniversary and because we had a gift card that had been sitting around for a while. We made a reservation for 6 PM but we must have arrived (on time) at their busiest time and had to wait 20 minutes to be seated. Our annoyance was quickly ended by the over all professionalism of our server (Ginetta), who was helpful in wine selection for my wife that was on target. The snack roles were warm and delicious. The calamari appetizer was also excellent. We ordered the Trio Medallions filets and the Cabin filet. They were cooked to order perfectly. Our sides were also excellent, augratin potatoes and brussell sprouts with a touch of bacon. 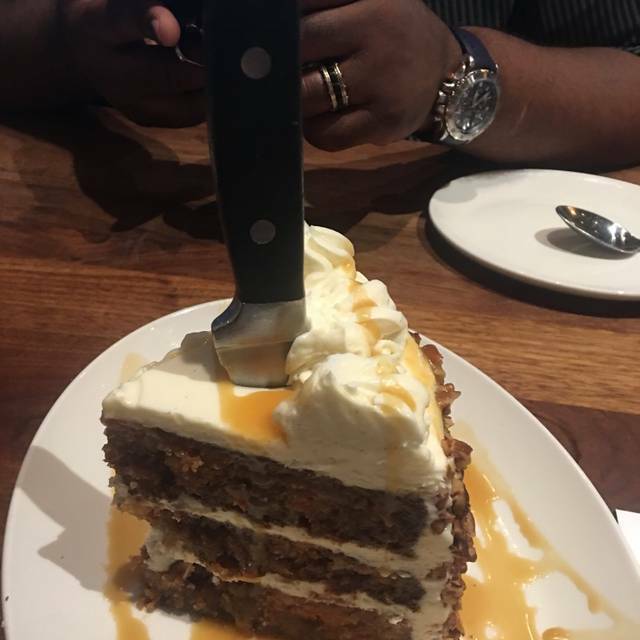 The clincher to a perfect meal was the carrot cake; a huge portion that we finished at home the next day (best I've ever had). Simply put, all the food and the drinks from the bar were a "cut above" any restaurant we have been to lately. The only (minor annoyance) thing that surprised us negatively was that it appeared that shoppers from the mall took a shortcut to their cars by walking through the restaurant fairly regularly carrying their bags; just seemed strange and inappropriate. We will be back. I want to try the lobster bisque next time! Always a good time at this location. See you next time. Terrific meal and experience. We had a craving for a burger and indeed it was delicious. Many thanks to Ashley, Ginny and Jenny. They’re friendly, and professional. My compliments to Stoney River for such a delicious meal and wonderful group. The shrimp appetizer is a must. It was a great experience. The food was delicious. The ambiance was perfect. The waiter was pleasant and made excellent drink recommendations. Had a wonderful experience celebrating our special occasion on Friday night! Indicated the occasion in the reservation but was totally surprised when they presented us with a card. Started out with whiskey shrimp which was scrumptious- the sauce was the bomb! Ribeye was very flavorful. They made our night by bringing out chocolate cake and champagne after our meal. Everything was great and we left there feeling extra special! Always good, we come here a few times a year and always enjoy it. My husband loves the coffee cured filet. Food was outstanding!! Service was excellent! A great restaurant!! 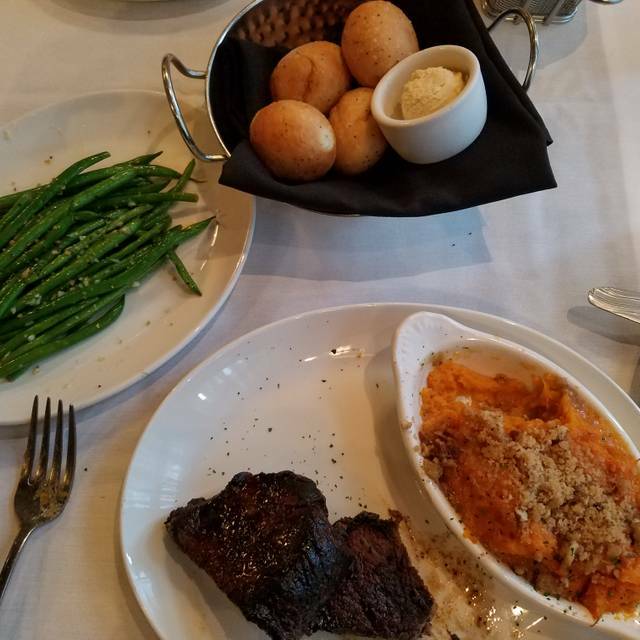 Always a pleasure to dine at Stoney River Steakhouse, we have never been disappointed. Food was delicious (the Ceasar salad was divine), but today I want to give a shout out the our waiter, Hunter, who was the consummate server. He was efficient, engaging and accommodating to our party of three. 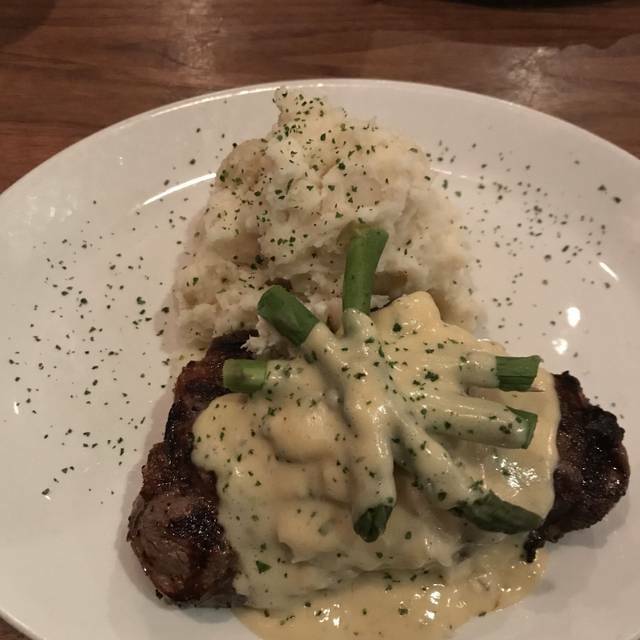 There are many high quality steak houses in the Annapolis area, but Stoney River and Hunter have us wanting more! It was great! We love this spot. The food, service and price are all on point. The food was excellent and the service was absolutely outstanding. Our waiter Hunter(sp) was really efficent and great! Food was flavorful, portions were shareable. I found the decoration very elegant and pretty. Food was great with good portions. Price was moderately. 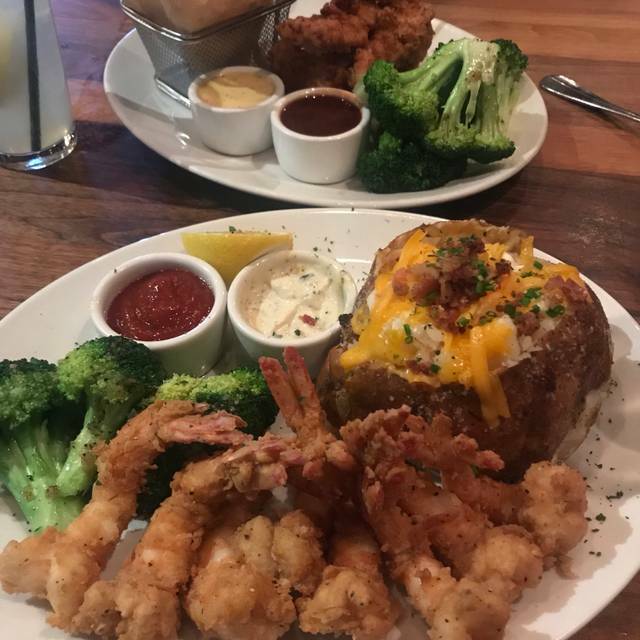 I have referred friends to Stoney River and they loved it; said they will return. We had a great time and enjoyed our dinner. We will return here again. Excellent experience. Outstanding customer service. Great atmosphere. Excellent service - we had a wonderful time. The food was outstanding.